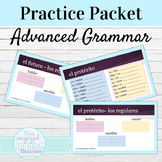 This packet covers the following concepts: Noun Forms Verb Forms Subject-Verb Agreement Pronoun-Antecedent Agreement Verb Shifts Pronoun Case Active & Passive Voice Capitalization This is a great packet to prepare for ACT, SAT, EOCT, or simply a grammar test. Packet has great practice! 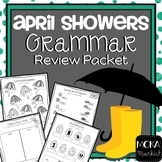 A nine page packet that includes a variety of fun and challenging activities to identify and generate nouns, proper nouns, adjectives, verbs, and adverbs. Realidades 3 Ch. 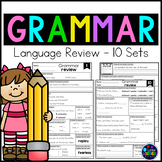 2 grammar review packet - 4 pages! pret./imp., ser/estar, etc. April showers bring smart students! 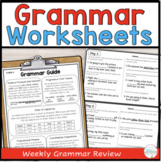 Use this packet to review previously covered grammar skills, including; compound words, synonyms & antonyms, parts of speech, and homophones.These worksheets would be great for centers, as an early finishing activity, or to reteach a skill during small groups. 2nd Grade Summer Review Packet! Download the preview to see standards addressed. This packet is 100% aligned!!! 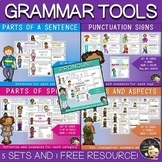 Click here for the 1st and 2nd Grade Limited Time Bundle. 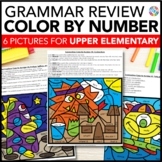 Click here to see the 1st, 2nd, & 3rd Grade Summer Review Mega Bundle. 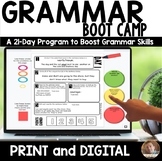 Informative, Engaging, Independent, Summer Fun!